Though Pridmore earned her BFA at Virginia Commonwealth University in 2007 and apprenticed with the Texas-born painter John Alexander, whose New York studio she managed for seven years, her father had recognized her potential long before, arranging drawing lessons and, perhaps more important, teaching her how to stick-weld at the age of fourteen. “At that moment, my fate was sealed,” she says. 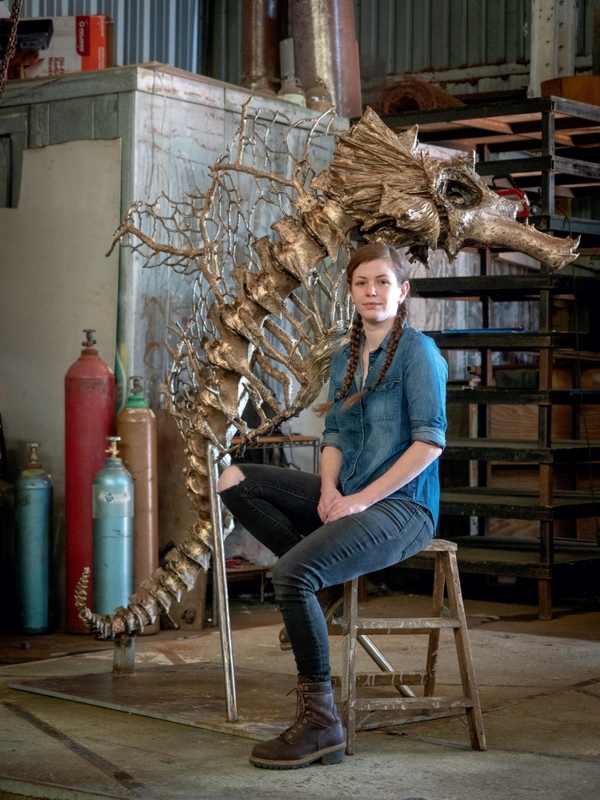 Welding was an essential skill during her yearlong work on St. Kampos, a bronze rendering of the skeleton of one of Poseidon’s hippocampi, with a spine originally crafted in papier-mâché, along with found driftwood, lichen-covered branches, and dried lily leaves.